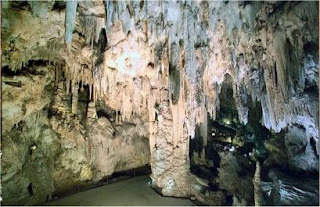 The spectacular caves were found by five youngsters out hunting for bats. The Nerja Caves on Monday celebrated the 50th anniversary of their discovery by five local youngsters, Francisco Navas Montesinos, José Torres Cárdenas, Miguel Muñoz Zorrilla, José Luis Barbero de Miguel, and Manuel Muñoz Zorrilla. The names of the five were taken to name the plaza outside the entrance to the cave in Maro, near Nerja, to mark the fact that they came upon an entrance to the grotto when playing and searching for bats 50 years ago. A plaque in their honour was unveiled by the Mayor of Nerja, José Alberto Armijo. Four of the five remain alive today, José Luis Barbero de Miguel having recently died, and were formally thanked by the Nerja Town Hall for discovering the cave which is now visited by thousands of people. Several special events are programmed in the caves to celebrate the 50th anniversary including the regular annual festival which attracts artists or world renown, although there have also been calls for the Nerja Caves Foundation and the Nerja Town Hall to work more closely together.